All those not off on holiday don’t worry this Saturday is Wysipig’s monthly open day. Don’t forget we also do Hog Roasts for event catering. If you aren’t going away this summer why not just come camping on the farm,it’s great fun for all the family. Wysipig is at Ellis’s Hill Farm and is open from 10am until 4pm, it is located on Sindlesham Road Arborfield. 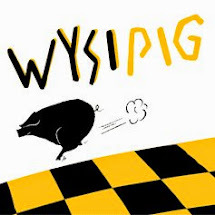 For more details call 07774 989362 , visit the website www.wysipig.net or follow us on Facebook and Twitter.